Nistaar Virk, a senior analyst at Macquarie, gives her thoughts on how you can ensure that you make an impact in the momen ts that matter most in the graduate and intern recruitment process. I joined Macquarie as a graduate in the Risk Management Group back in 2015. I still remember the intense process of applying for graduate roles and attending careers fairs and company events in order to understand more about the opportunities available and what would suit me best. From submitting your application through to the offer stage, in my view there are five key moments in the graduate and intern recruitment process that help a potential employer like Macquarie build an impression of you. I wanted to share some tips for success throughout each of the stages. · Think outside the box - consider a range of roles outside of what you think you should do with your degree. During my time here, I have learnt that Macquarie values diversity of thought and your degree will equip you with transferable skills that can be applied in non-traditional roles. · Consult widely - utilise multiple channels (such as your parents, mentor, academics, company website, LinkedIn and career events) to find out more about the organisation and the role. 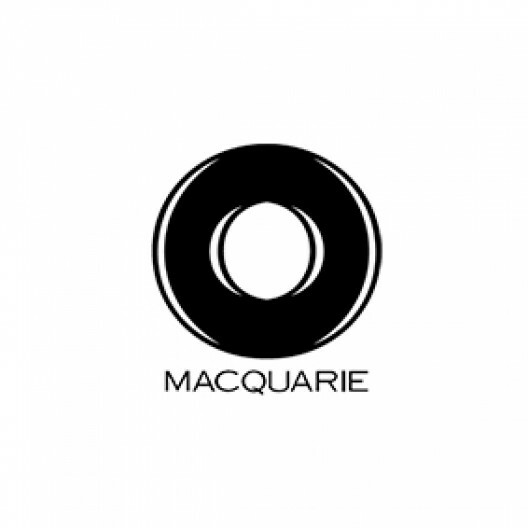 · Use your CV to show Macquarie why you are a suitable candidate for the role. Make sure you include any particular skills you have, and extra-curricular or personal achievements you have accomplished; they show your individuality and personality as well as key competencies such as tenacity, achievement drive and team work . · Practice is important - your email invitation will include a link to practice questions which I recommend you do. It’s also helpful to brush up on your basic maths skills e.g. percentage change, reading graphs, ratios. · f you are not able to complete the assessment in the time frame given, contact the team to discuss the option of extensions. · Be in the right frame of mind - there is a wealth of evidence linking nutrition and sleep to improved cognitive performance. Eating well and getting enough sleep helps to ensure you’re performing at your best. Complete the test when you feel most productive. Relax. Don’t stress about the assessment. Just do your best. · Dress professionally, you’re on camera! Plus, it will get you into the right frame of mind. · Practice with a friend - this can be helpful in getting you familiar with the format. Think about some questions you might be asked (e.g. why are you interested in thi role? What are some key skills you can bring to the role?) and think about what your responses would be. Get some feedback on your communication skills, keeping in mind to always be professional. · Do your research - refresh your knowledge of the research you did in the online application stage and be prepared to talk about areas that interest you, as well as skills and experience you’d like to further develop as you start your career. · Ensure you are comfortable and won’t be distracted during the interview. · Prepare your outfit the night before and allow plenty of travel time. This will help you to feel relaxed on the day. · Research - find out as much as you can about the role and show your interviewers you understand what you would be doing as an analyst in their team. Ask your recruiter plenty of questions and utilise resources like Macquarie’s website. As you can see, research is important in all stages of the process. · Know your CV - feel confident speaking about your experiences. · Understand your motivations for applying - this is something your interviewers will likely be interested in, so make sure you can articulate why you are interested in Macquarie and the role. · Be familiar with the STAR format (situation, task, action, result) as it helps you to give concise but comprehensive answers. Think of some questions the interviewers may ask and strong examples that you can incorporate into your answers. · Think of some insightful questions you would like to ask. The interview is a two-way process and an opportunity for you to consider whether the role is right for you. The interviewers will often be from your prospective team and can provide invaluable insights. · You'll be called by your recruiter who will provide feedback and let you know if you have an offer, before you receive the offer documentation by email. On the call, make sure you ask questions or clarify anything you're not sure of. · Be open and honest - if you have another offer that you're considering, be transparent and make sure you understand differences in roles and opportunities. Your recruiter might be able to answer some questions or put you in touch with someone in the business that can help you make up your mind. · Trust your instincts - consult widely to see what others think about the offer, but make the final decision yourself (after all, you will be the one doing the job).